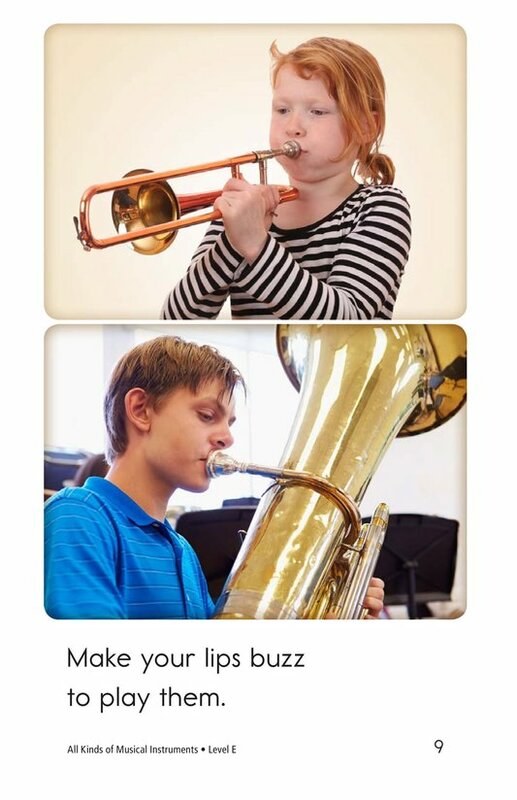 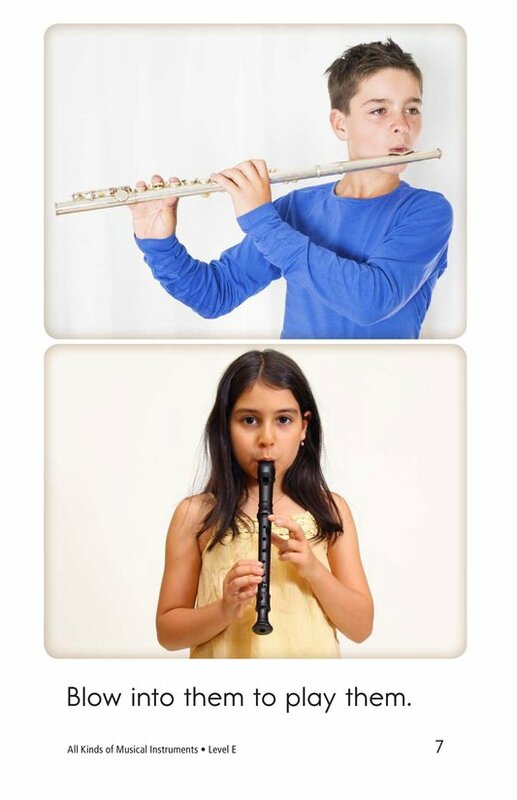 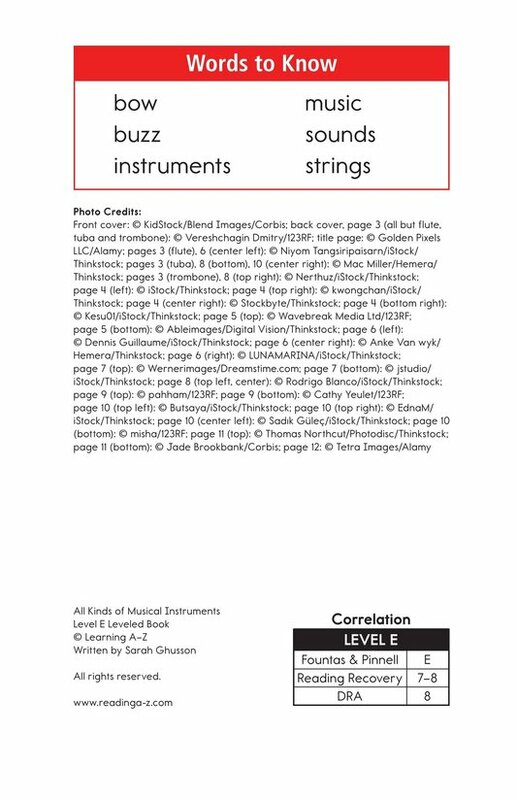 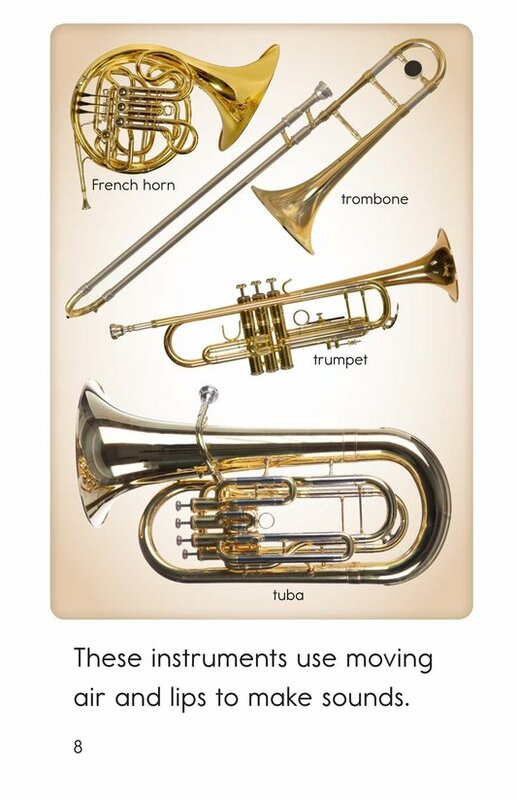 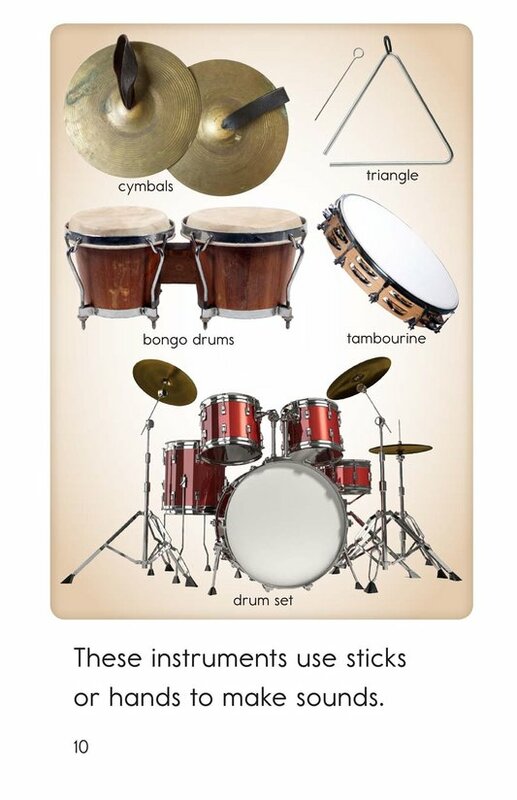 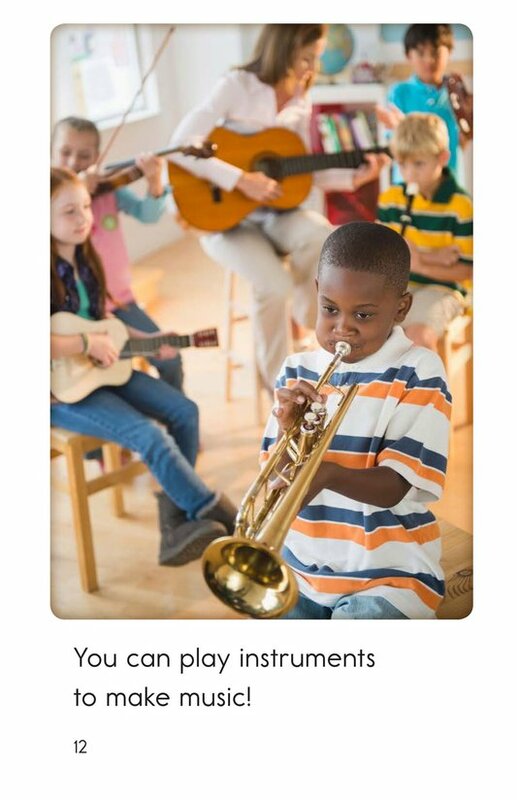 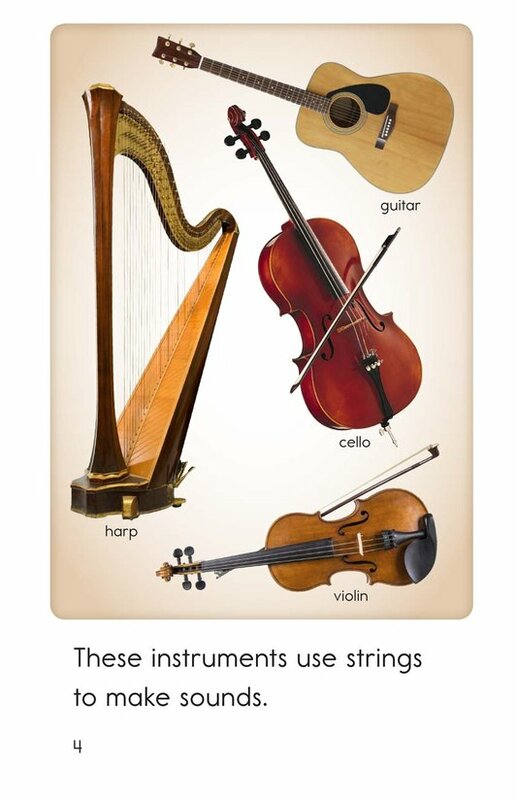 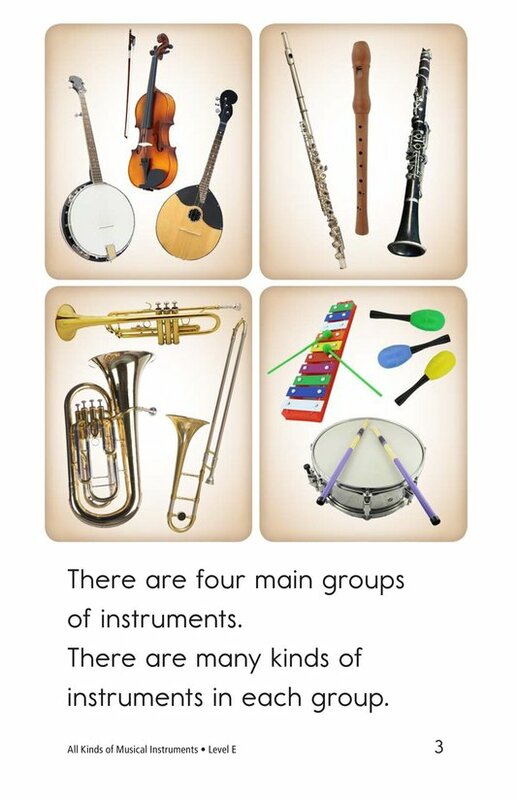 There are many different ways to play musical instruments. 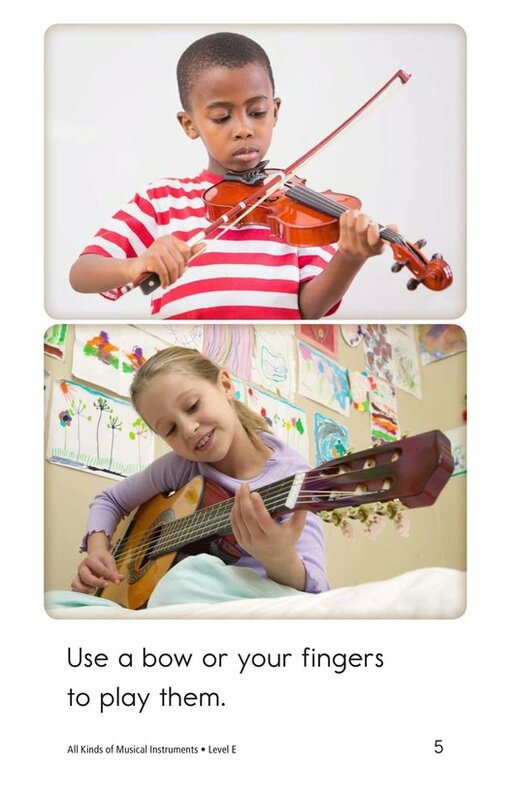 Some are played with a bow, some with sticks, and some with our hands. 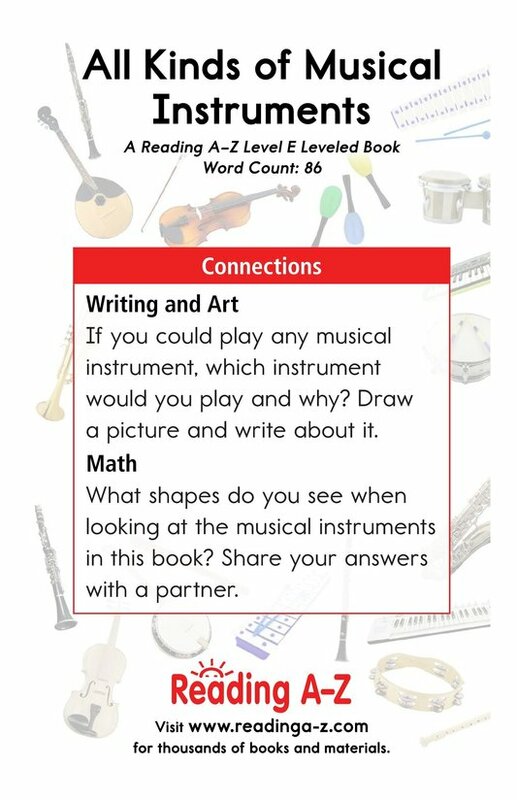 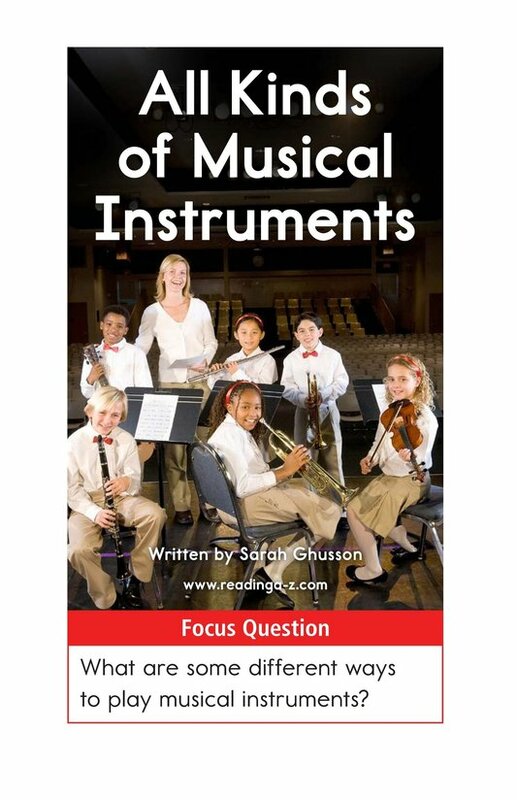 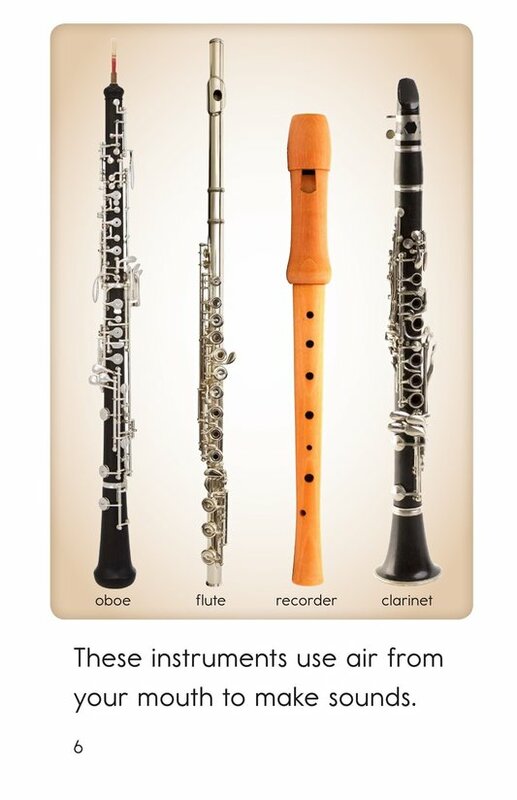 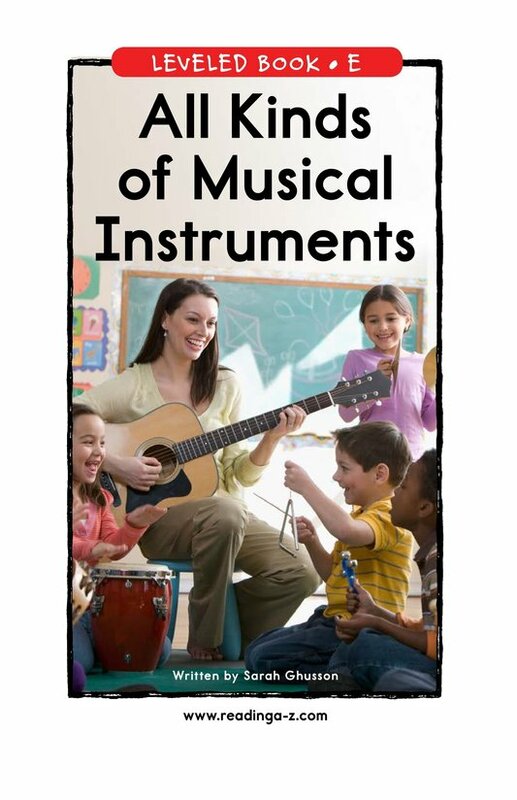 All Kinds of Musical Instruments is a colorful introduction to a wide variety of instruments. 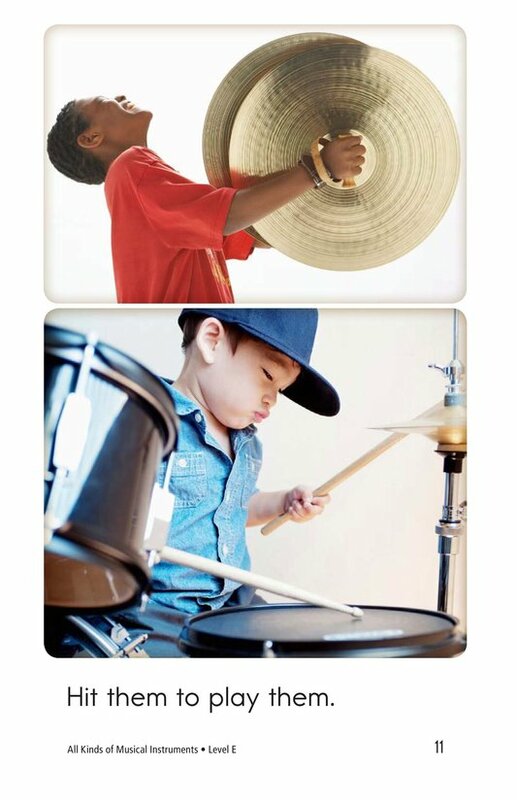 Detailed photographs support students' learning as they make connections to prior knowledge and practice the skill of classifying information.